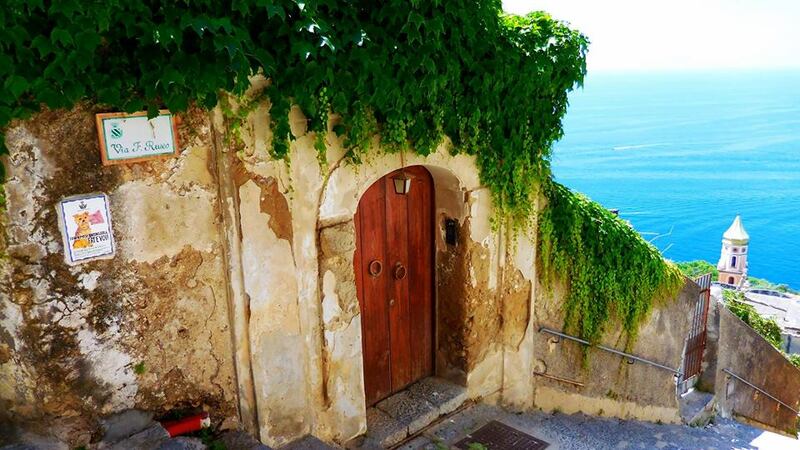 May we take you to the Amalfi Coast Path of Gods, on Italy’s Amalfi Coast? Perhaps the most spectacular walk in the world, rewarding the walker – with a head for heights – with unforgettable views of the Mediterranean. From its various points of elevation, one sees why this tiny section of the Earth came to be known as the Path of the Gods. Traffic on the path is predominantly east to west – the downhill direction – but walkers come the other way too, and transitions, when perched on a plunging cliff, on a one meter path, must be carefully negotiated. I‘d not dissuade you, or course. I try to convey the effect, the emotions felt. Other walkers are easily forgotten on what, I find, is an inner journey: one is quietly self-reflecting in effect of these majestic surroundings –a tiny human in a vast and beautiful arena. The full experience starts at sea level, from Praino, which includes a climb of some 1500 stone steps, through terraced gardens, to the Sentiero degli Dei proper (580 meters above sea level). Starting here makes the walk considerably longer. The 3 hour duration pertains to a starting point in Agerola, easily reached by bus, which then cuts out those steps, and which I do recommend. I did the steps version and was about finished before I'd even got started as you'll see I mention in that Praino article. The two paths merge in time into what is, essentially, a cliff-side contour walk. The routes are signposted, as you’d expect, but there’s a myriad of footpaths to choose from on the inland sections. Wishing to find some point of interest, like the church of Madonna del Grazie, for instance, you just need to ask. The path is high, but not remote. On the early part, one is in company of sheep, goats and helpful sun weathered locals. It gets more difficult through the Vallone Grarelle, where steps still abound, and are up and down, taking one past oaks and heather, to those stellar Mediterranean views. On reaching Nocelle, one is relieved, and can soothe tired legs, but I regretted that it was over. Nonetheless, this traverse is one that will stay in my memory forever. For more details on this and the other walks on the Amalfi Coast get yourself a copy of the excellent Sorrento, Amalfi Coast and Capri: Car Tours and Walks. If you don't feel confident about doing it yourself, and would like some expert company to help you overcome all difficulties, plus have the added benefit of someone to show you the things you would certainly miss on your own then there are tours like this one. 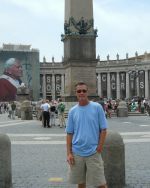 Practically, the walking tourist must always consider accommodation and transport options. The logistics require deeper research than the detail given here. In this case, we suggest the perfectly adequate Amalfi/Sita bus service and, as a base of operations, the preposterously beautiful town of Positano, as seen from the Path of Gods. A stay in Positano just extends an experience that is, quite simply, magnifico. Our accommodation pick is undoubtedly the centrally placed, fully appointed, comfy and spacious Hotel Montemare. 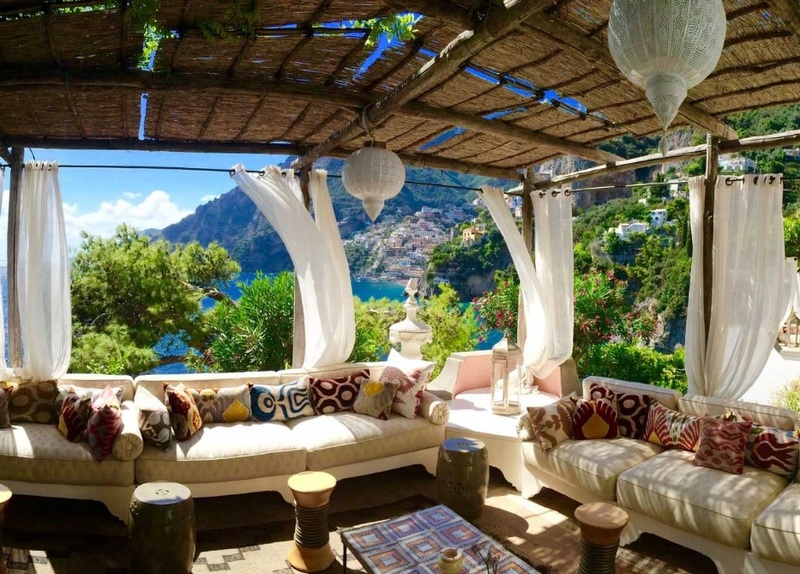 If you've a much bigger budget than me then the unbelievably beautiful Villa TreVille, located on a hillside 30 minutes walk from Positano, is a place where you'll make those memories of Italy you've always dreamed of. Another good alternative to Positano is to base yourself in Praiano at the Hotel Pellegrino. Praiano really is a delightful little town and is less crowded and less expensive than Positano.